This might seem like a weird place to start, but I think it will help you accelerate the process and avoid unnecessary errors. On a recent Strengths Finders test, “Activator” was in my top 5… Gallup explains Activators as people that “can make things happen by turning thoughts into action. They are often impatient.” Mmm…. yes. This trait has been a blessing and a curse in my life. If Activator is a dominant theme for you, Gallup says, “Be the catalyst. Think it through, and then get going.” Ah…think it through. This is something I am working on… and probably one of the reasons for my many publishing mistakes. I don’t think we can really appreciate a skill or craft until we have attempted it. Take singing, for example. Someone opens their mouth and beautiful sounds escape – if you’re lucky enough to have the right vocal chords. You either have it or you don’t, right? Yes, and no. Singers have to learn proper breathing techniques, read music, learn how to harmonize… and I’m sure sooo many other things. Clearly, I am not a trained singer. I do like to sing though – like at church and in my car:) I am content with my amateur singing ability. But, if I wanted to be super good – I should have probably started a long time ago… or I should start now. Singing a lot. Learning exercises. Listening to music. Beginner Writers: Same with writing. Either you’re interested in writing or you’re not… and if you’re interested in it, you’ll probably consider picking up a pen or sitting down at your computer. It will probably feel weird at first if you’ve never written down your thoughts. It might even feel forced. Try journaling to start. Experienced Writers: Maybe you have a manuscript ready or just some notes. Talk it out with a friend, write a bit more on the subject to see if you have any other thoughts, go through old journals, and re-read some of your favorite authors. Keep writing! Do you hate this article, yet? If not, you probably do now. As someone who grew up loving fiction and esteeming writing in general… the idea of blogs is somewhat loathsome. I must admit, my first reaction to blogging was disdain. I thought it was an abomination to the art of writing because instead of encouraging writers to pour hours upon hours into creating the perfect sentence, blogs were encouraging writers to crank out content as fast as possible…which I assumed would decrease quality. Now I see blogging as an exciting and challenging competitive arena. In essence, it’s what I spent all of those years – from first grade through college- training for. Blogging is performance mode. It’s where your practice pays off. At one time, very few had the opportunity to get their work in print. Now, it’s open for everyone. Action step: Find a site to host your blog… I use WordPress, but other popular options include Blogger, Tumblr, Weebly and Squarespace. Also, check out my recent article, “5 Blogging/Writing/Publishing Misconceptions” for more info on where to start and mistakes to avoid. Now comes the easy and fun part…Organization. This really is my favorite step. Each of my books have come from at least a year’s worth of writing, journaling, and blog posts – if not more. Compile your thoughts and organize your writing into sections and chapters that share a common theme. Creating an outline is definitely an option. This will help you determine if you need to write more, research more, and figure out where you might need some help/feedback. In general, I think having friends edit your work is ideal… and especially friends that will tell you what they really think and encourage you at the same time. There are many options out there when it comes to self publishing. For my first book, 22 & Single, I published through Thomas Nelson’s self publishing agency Westbow Press. Pros – they will walk you step by step through the entire process from designing the interior and exterior of your book to formatting – and they give you personal time and attention. They will distribute your book and e-book on the top channels: Barnes & Noble, Amazon, and iTunes. Cons – Self publishing through Westbow costs upwards of $1600. I used a Kickstarter campaign to fund 22 & Single, however, which helped with the cost. Still whenever I want to order copies of 22 & Single – there is not a significant discount unless I order a ton of books. Also, the royalties are around 40-60%. My second two books, My Problem with Grace and Because I Love You have been published through CreateSpace, Amazon’s self publishing agency. Pros – Free! That’s right, you can publish an e-book or paperback for free. Your e-book can even be available on Amazon.com within 12 hours. Also, you can earn up to 70% of the royalties. Cons – For someone who has never published before, it could be a bit overwhelming. However, they electronically walk you through each step and have software to help you create your cover. Interior design is really up to you. Also, they do have services available for $300-$500 if you would like assistance. Having the opportunity to publish has been a huge blessing. I wish all of my friends published their thoughts and stories and what they are learning – I’d love to read it! So, I hope you’ll pray and ask the Lord what He would have you write, and that as He leads you’d go for it! I really appreciate blogger Liz Strauss’s thoughts on blogging/publishing. She says, “The Internet has no eraser… Your children, your grandchildren, your future spouse, your future boss, and your future enemy will see what you write eventually. Speak the truth with your head connected to your heart.” Nick Scheidies follows up with, “Write with integrity and you never have to worry about your words coming back to haunt you.” Amen to that. In fact, your words could be just what someone needs to hear. Don’t underestimate the story God is weaving and how He might choose to use you. I’m currently in the process of improving Katie’s Journal and would love your feedback! Click here to take a super quick and easy Improvement Project Survey. 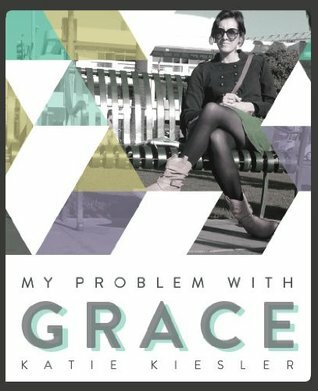 Also, don’t forget to enter to win My Problem with Grace!